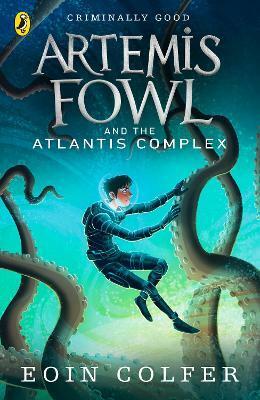 Artemis Fowl and the Atlantis Complex is the seventh awesome book in the bestselling Artemis Fowl series by Eoin Colfer. Will the real Artemis Fowl please stand up? Criminal mastermind Artemis Fowl has summoned an elite group of high-tech fairies to Iceland. He wants to present his invention to save the world from global warming. But something terrible has happened to him. The fairies diagnose Atlantis Complex (aka multiple-personality disorder) - dabbling in magic has damaged Artemis's mind. And now the subterranean city of Atlantis is under attack from vicious robots and nice Artemis is no use to anyone. Can fairy ally Captain Holly Short get devious Artemis back before they strike?